The Zoo Bar hosts a celebration of life event in honor of founder and longtime owner Larry Boehmer Sunday, Sept. 23, 3-9 p.m. Boehmer passed away Sept. 4 from lung cancer. Current co-owner Pete Watters says he knows there is no way the Zoo can accommodate everyone who will want to stop by to remember Boehmer, so he hopes people will be patient and allow everyone who wants to stop in a chance to do so. There will be music from Lincoln bands including Tijuana Gigolos, Blues Messengers and Lil’ Slim Blues Band. Special guests are expected to make appearances onstage throughout the day. Check zoobar.com for updates. There are several efforts to create lasting memorials to Boehmer beyond the Zoo Bar itself, which will always be Boehmer’s biggest living legacy in Lincoln and the music world. One suggestion is to rename Lincoln’s 14th Street between O and P Streets Larry Boehmer Boulevard. If you are interested in supporting this initiative please write or call Lincoln Mayor Chris Beutler’s office with your supportive comments at mayor@lincoln.ne.gov or 402.441.7511. The Blues Society of Omaha teams up with The 21st Saloon to host a Tribute to Larry Boehmer Thursday, Oct. 4, at The 21st. 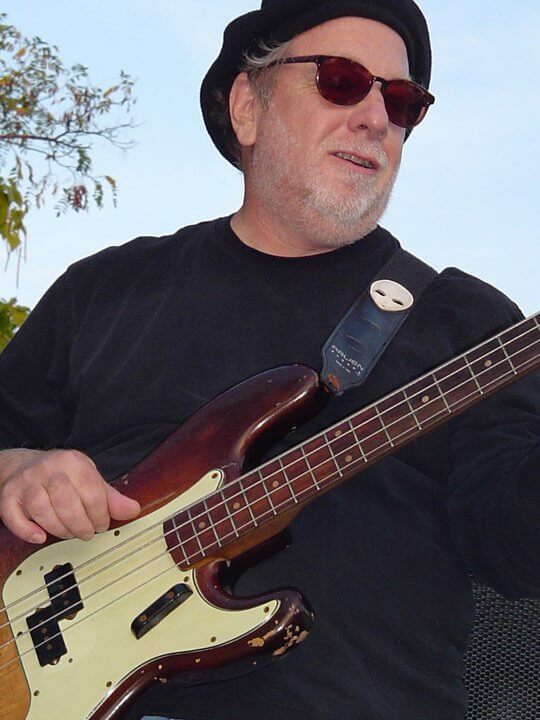 The 5:30 p.m. blues show will feature The Zoo Bar House Band including Boehmer’s son and Zoo co-owner Jeff Boehmer with Lil’ Slim, Joshua Hoyer, Kris Lager, Levi William, Dave Boye, Dave Robel and special guest Sean Benjamin. The Sunday Roadhouse presents Eilen Jewell at the G.I.. Forum, 2002 N St., Sunday, Sept. 23, as part of an outdoor day of music, 1-7 p.m., that includes The Johnsen Brothers, The Mercurys and The Loose Brothers. See sundayroadhouse.com. Rockabilly legend Wanda Jackson performs at Slowdown Sunday, Sept. 23, 8 p.m. See wandajackson.com and theslowdown.com. The Zoo Bar and Lincoln’s Bourbon Theatre presents the amazing Blind Boys of Alabama with Dr. John at the Bourbon Sat. Oct. 20. Advance general admission (dance floor/standing room) tickets are $38 at the Zoo, the Bourbon or etix.com. Reserved seats are available at an additional cost. Blues supergroup Royal Southern Brotherhood returns to The 21st Saloon Thursday, Sept. 20, 5:30-8:30 p.m. The Bel Airs play next Thursday. Former Luther Allison sideman James Solberg rocks Lincoln’s Zoo Bar 6-9 p.m. Thursday, Sept. 20. Matt Cox Band, Brad Hoshaw & The Seven Deadlies and the Daredevil Christopher Wright play O’Leaver’s Friday, Sept. 21, 9:30 p.m.